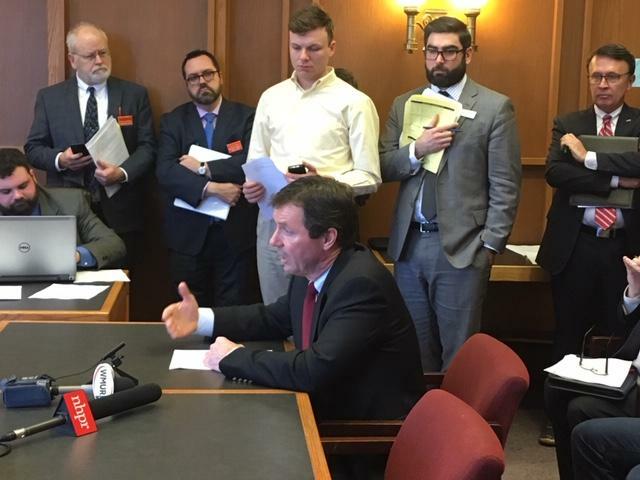 Bills to boost mental health services at local hospitals and hire staff at the state's child protection agency went before state senate committees Tuesday. Democrats are prioritizing the bills, which spend about $13 million in state money. The mental health bill would tap the state's surplus account for $9.5 million. It would lift reimbursement rates for hospitals treating people in mental health crisis, and fund construction projects to add mental health beds at a few hospitals. Senator Tom Sherman of Rye says the state needs to end the practice of forcing patients in crisis to wait in emergency rooms - often for days - before they can get appropriate treatment. "The current process is an affront to patient care, and it needs to be rectified immediately. That why we are hearing this bill so quickly." Another bill would hire 57 new child protection workers over two years, and add 20 managers. Mental health and child protection are issues Governor Chris Sununu is expected to highlight in his state budget proposal next month. The New Hampshire Hospital Association has moved to intervene in a lawsuit against the state brought by the ACLU-NH. The lawsuit addresses the current practice of emergency room boarding, where patients who are involuntarily committed for acute psychiatric treatment are sometimes held for weeks in emergency rooms without a probable cause hearing.